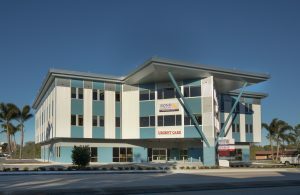 Bond Clinic Urgent Care - Winter Haven - Bond Clinic, P.A. Bond Clinic, P.A. 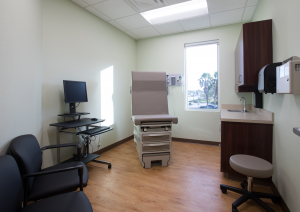 Come visit Bond Clinic Urgent Care in Winter Haven for all your minor illnesses at our Brand New First Street Campus. Our new urgent care features: a separate entrance with covered drop off area, a large reception area with tv’s and charging stations, full infusion center, new xray, lab and treatment rooms. At Bond Urgent Care you can expect to be treated by our experienced providers for all your families minor illnesses and injuries such as sore throats, ear pain, and cold and flu symptoms. Click here to meet the team! Bond Clinic Urgent Care is open to established patients and non of Bond Clinic. For your convenience, we accept most major insurance plans and cash pay. No appointments necessary and walk-ins are welcome! One of nine exam rooms.